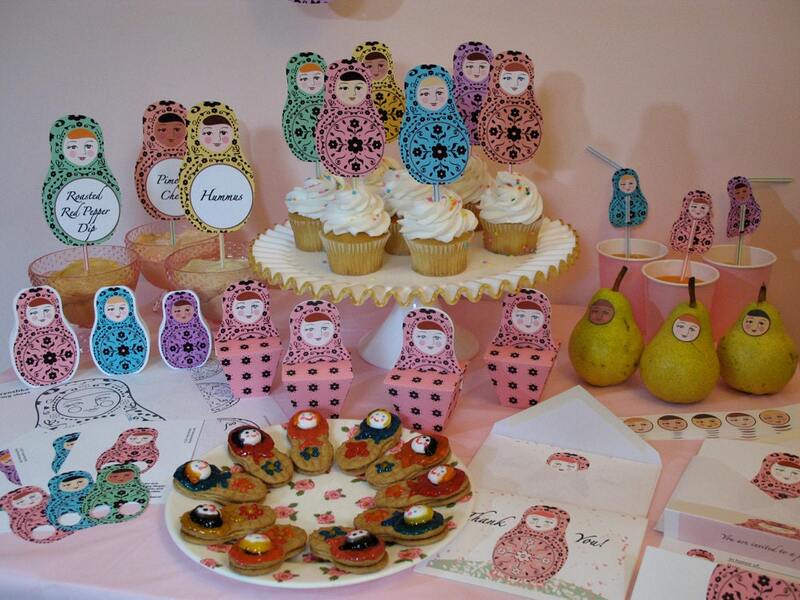 Create a charming Matryoshka theme party with my Matryoshka (aka- babushka, nesting doll, Russian doll, stacking doll) Party Kit PDF files! 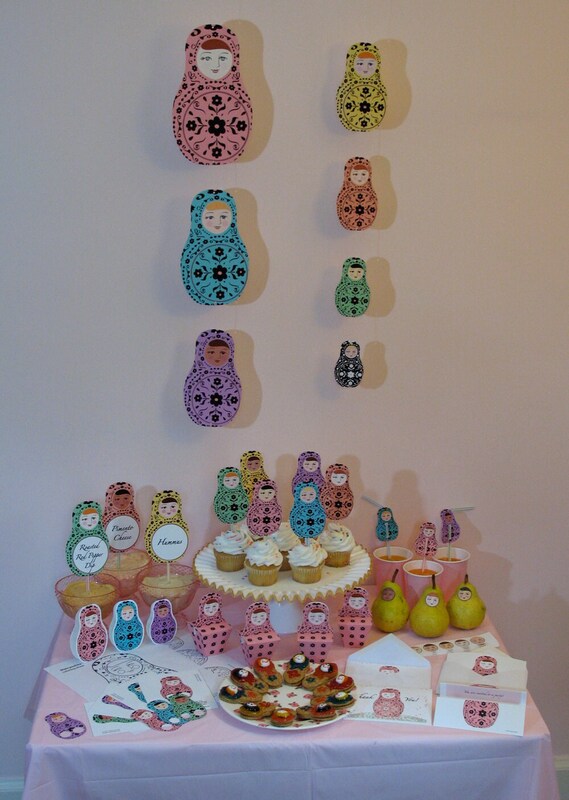 Perfect for birthdays, bridal showers or baby showers or any special occasion. Just purchase to immediately download the files. Then open, print out and construct (more details below). The PDF files include assembly instructions. For the Thank You Cards just cut cards apart on dotted line and fold in half. 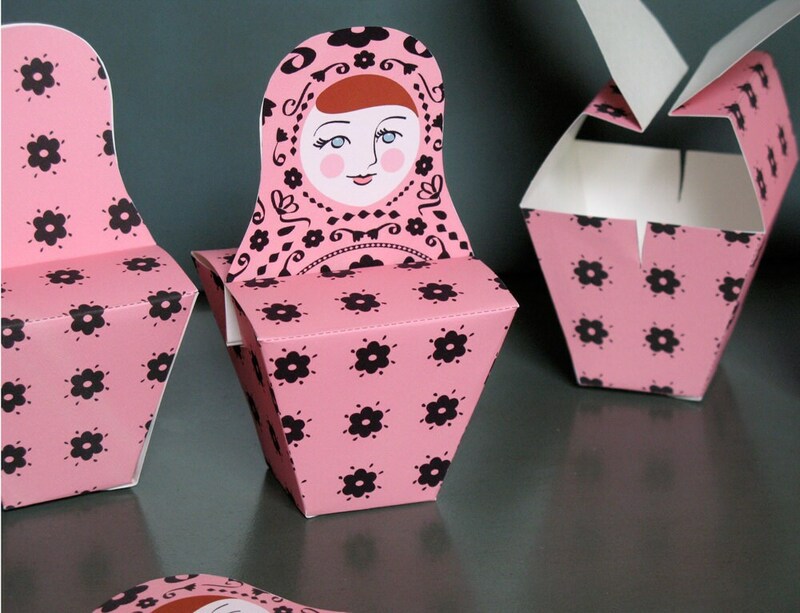 Adorable, fun and convenient! Print as many, and as often as you want. Invitation (Envelopes not included. 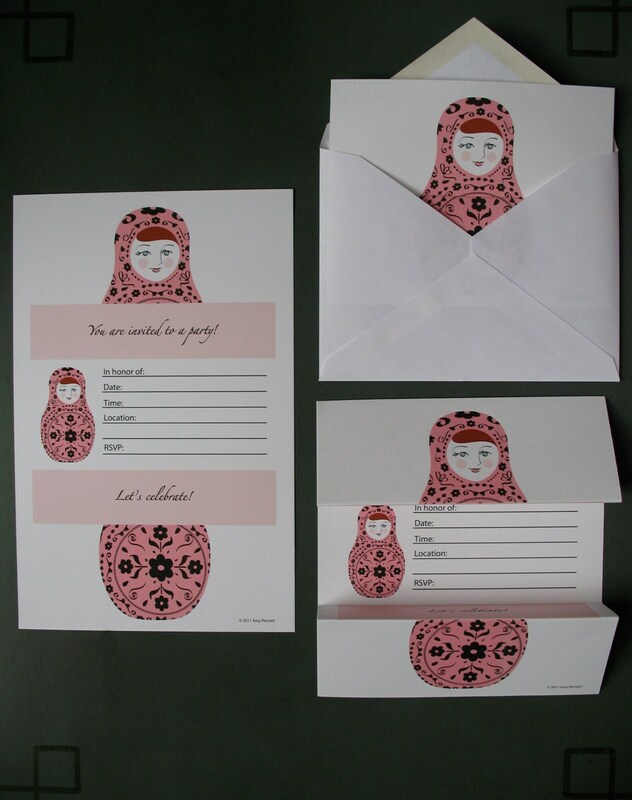 Invitations fit 4 3/8" x 5 3/4" size envelopes.) Text on Invitation reads, "You are invited to a party! Let's celebrate!" and includes the following (followed by blank lines to fill out by hand); "In honor of:", "Date:", "Time:", "Location" and "RSVP:". Envelopes, size 4 3/8" x 5 3/4" for Invitations and Thank you Cards. These PDF files are for personal use only. Commercial use or distribution of the PDF files and their contents are prohibited. Not intended for resale as PDF files, printed, constructed or in any form. Thank you so much for such a great design an easy to work with. Great artist, smooth transaction, will come back for sure! These were emailed to within minutes, which was great because I needed them a party the next day. 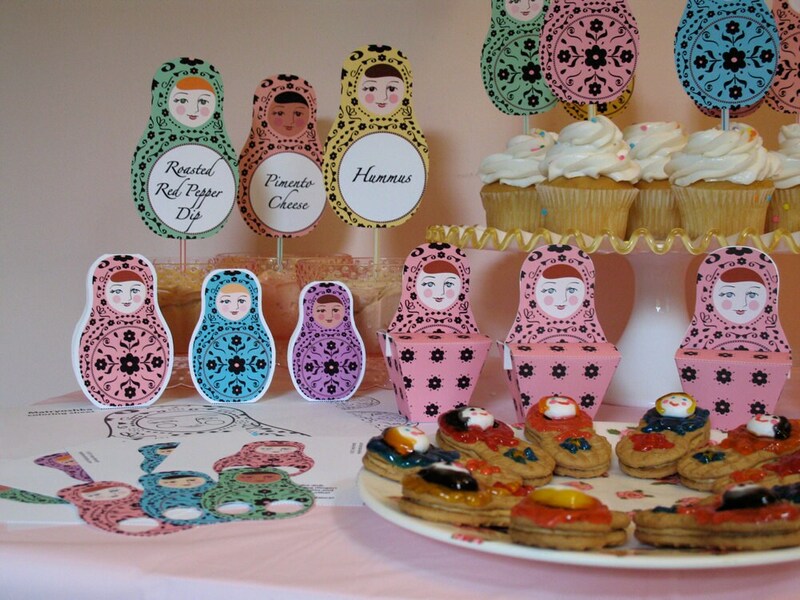 They printed out beautifully, and the birthday girl loved them! Thank you very much!